ERB finishes off the first half of their season with aplomb, pitting the famous Macedonian king Alexander the Great against the infamous Russian tsar Ivan the Terrible, featuring some secret guest rappers played by EpicLLOYD and Meghan Tonjes to spice things up before going on break. 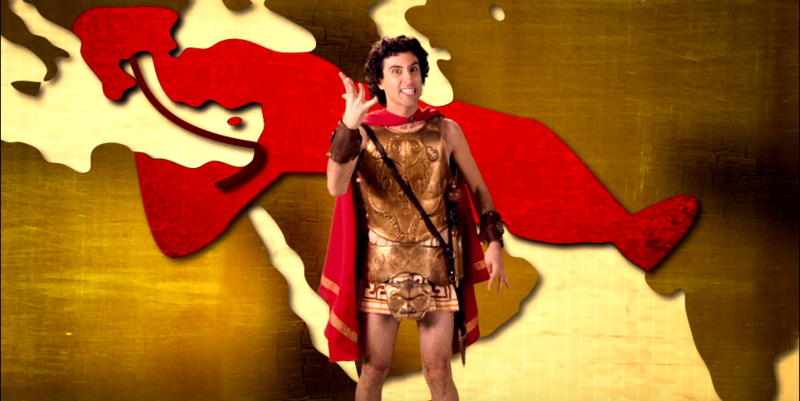 Alexander the Great vs. Ivan the Terrible was attempted by ERB back in season 2, but was ultimately scrapped during the writing process. It seems likely that the team decided the only way to spice up the match-up to make it more enjoyable would be to add more rappers, which is why they decided to use the suggestion as one of the customarily huge midseason finales. Following this battle, ERB will go on a vacation in which they will ultimately pick the next six battles that they would like to take on for the second half of season 5.